Strange Fictions Press, 9780692664797, 80pp. In this tale of post-apocalyptic survival, Leonard Ackerman works at a remote army base trying to solve the greatest threat facing mankind -- an alien invasion has eroded our species down to very few numbers. His base is compromised, and Ackerman retreats to a laboratory he has never been seen, locking himself there with the enemy right outside his door. Inside the lab are thirteen telephones -- from the American civil war through to Ackerman's present day. Will Ackerman be able to find some chink in the armor of the relentless and seemingly invincible menace that destroys the human body and shatters the mind of everyone it touches? Or is Ackerman simply the last victim standing? Adam Aresty, author of Recovery, hits hard in this breathless race to save humankind from the insidious alien invasion from a species determined to destroy from within in this science fiction thriller. 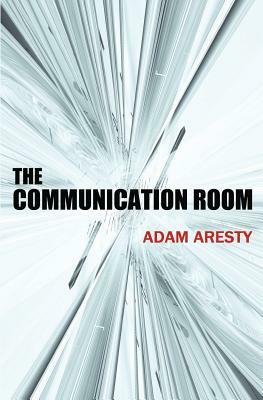 If you like post-apocalyptic survival fiction and alien invasion science fiction packed with action and cinematic pacing, you'll love The Communication Room. Adam Aresty is an author and screenwriter. He has a deep passion for genre fiction and mostly writes in the horror, sci-fi, and thriller category. Since he saw Jaws at a very young age, he knew he wanted to tell stories with monsters in them. Adam's novella, Recovery, was published in 2013 by Kraken Press. He wrote the screenplay for the horror comedy, Stung, and the film premiered at the Tribeca Film Festival in April, 2015. It is now available to stream on Netflix. Adam is currently working on a sequel to Stung, as well as a novel and many other works in progress. Originally from the great state of New Jersey, Adam traveled west to attend college at The University of Southern California, where he met his wife Holly. They continue to reside in Los Angeles with their Golden Retriever named Ace.